Tailored Vests: Vests for men are as popular as vests for women, although for a different reason. 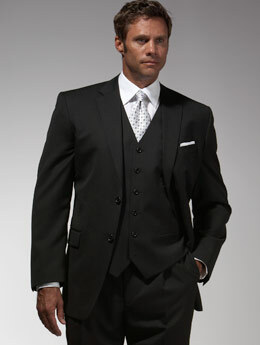 Menswear vests are most often worn as part of a three-piece suit. I love the vest look as I feel it finishes off a classic two-button suit (another perennial favorite) and looks just as good with a jacket on as with it off. Vests for women are more often a fashion statement used to add interest to a simple top and slacks or skirt. Vests for women are not as fitted and can be worn unbuttoned.